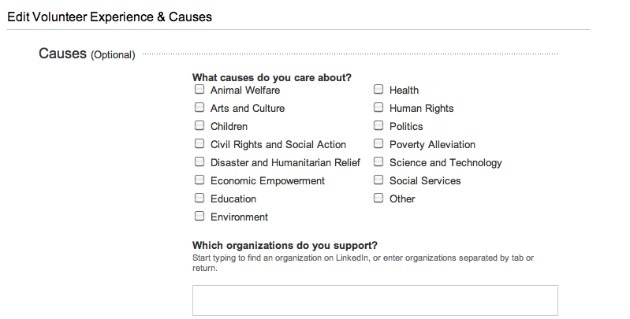 LinkedIn is adding a new “Volunteer Experience & Causes” field to profiles, the company announced Wednesday. The section will let users highlight and showcase their unpaid or charitable work experience. Users can click off causes that mean the most to them, fill out an experience profile or add specific organizations — such as the American Red Cross or Habitat for Humanity — that they support. Promoting your charitable experience will help get you a job, according to a recent survey by LinkedIn. The company polled nearly 2,000 U.S. professionals and found that 41% said that when they are evaluating candidates, they consider volunteer work just as much as paid work. Of the hiring managers surveyed, 20% said they gave a job based on a candidate’s volunteer work experience. This is good and bad news. Of the 2,000 professionals surveyed, 89% had volunteer experience but only 45% included that information on their resume. “A lot of people said, ‘I didn’t want to appear to be bragging, I see volunteering as something that I do on a very personal level and I don’t expect to be rewarded for it on a professional level,’” says Nicole Williams, LinkedIn’s connection director. Volunteering is a way of getting your nose out in front of other candidates, Williams says. It helps you meet potential employers or recommendations without having to search out paid work experience in a down economy. 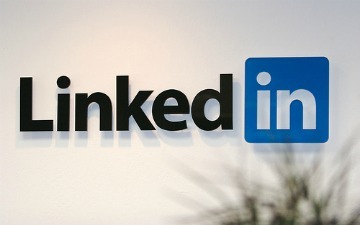 What do you think of LinkedIn including volunteerism and causes? Will you add the section to your own profile? Let us know in the comments below.